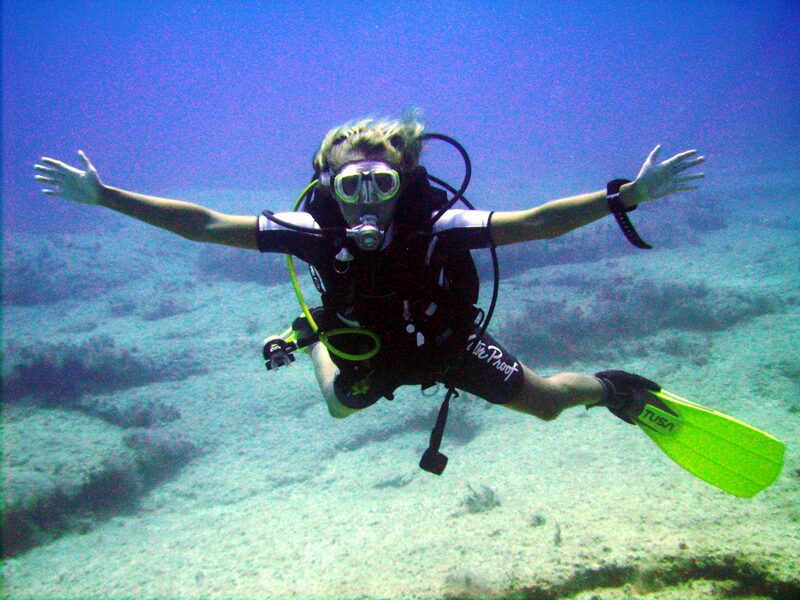 Enjoy an easy introduction into the world of diving and find out what it is like to breathe underwater. Join one of our professional instructors to learn some basic skills and safety information to enable you to explore the underwater world. Your experience may count towards PADI Scuba Diver or Open Water Diver certification if you decide to go further. One morning is all that you’ll need and will include an actual scuba dive in open water. Join us for a fun briefing where you will learn lots of interesting facts. Following this you will put on your equipment and take a short walk to the shore where you will enter the underwater world and experience a new sensation. After completing a few simple skills you will enjoy a full open water dive along our lovely marina wall. Our instructors will support and aid you every step of the way. Minimum age -10 years old. Want to experience more of the underwater world and explore the clear blue waters of Akrotiri? This experience is for you. Spend an hour on day one to meet your instructor and learn the skills you require in confined water. On day two you will experience two fantastic boat dives from the Crest Dive boat in the crystal clear waters of Akrotiri. The day starts with a cruise along the Limassol peninsula where you will have the opportunity to see turtles and dolphins. After arriving in Akrotiri, and having a briefing, it’s time to jump in! During the 2 fully guided dives, you will feed the fish and explore the submerged helicopter, cannons and fire engine. An unforgettable experience! Non-divers can join you to snorkel or just soak up the sun and enjoy a morning on the water. A great day out for all! This is a great way to introduce children to scuba diving in a pool in less than 2 meters of water. Celebrate a birthday by throwing a memorable exciting Bubblemaker party! Children can enjoy a variety of underwater scuba games under the supervision of our team of professionals in the safety of the swimming pool. Children can join us in underwater adventure AquaMissions. AquaMissions 1 – 5, teach kids the basics of diving – things like buoyancy control, mask clearing, regulator recovery, etc. Part two is full of specialty AquaMissions. 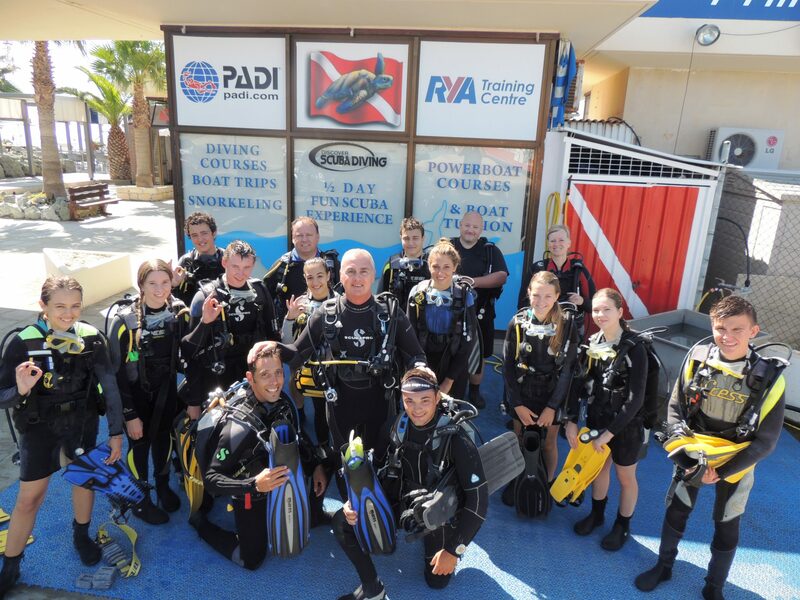 Upon successful completion of the first five AquaMissions, students become PADI Seal Team members. Upon successful completion of 10 additional specialty Aqua Missions, students become Master Seal Team members.